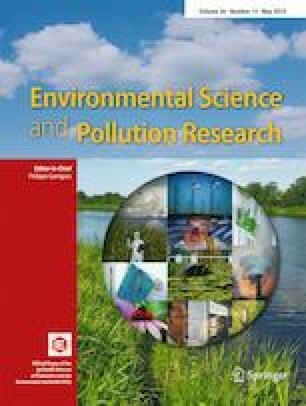 In this study, zero-valent iron (ZVI), nanoscale zero-valent iron (nZVI), Fe(II), and Mn(II) were investigated for their effects on mixotrophic denitrification coupled with cadmium (Cd(II)) adsorption process by Acinetobacter sp. SZ28. The removal rates of nitrate were 0.228 mg L−1 h−1 (ZVI), 0.133 mg L−1 h−1 (nZVI), 0.309 mg L−1 h−1 (Fe(II)) and 0.234 mg L−1 h−1 (Mn(II)), respectively. The Cd(II) removal efficiencies were 97.23% (ZVI), 95.79% (nZVI), 80.63% (Fe(II)), and 84.58% (Mn(II)), respectively. Meteorological chromatography analysis indicated that the characteristics of gas composition were different under different electron donor conditions. Moreover, characterization of bacterial metabolites produced by strain SZ28 under different conditions was analyzed. Sequence amplification identified the presence of the nitrate reductase gene (napA) and Mn(II)-oxide gene (cumA) in strain SZ28. The results of XRD and SEM indicated that ZVI, nZVI, Fe(II), and Mn(II) were oxidized into corresponding oxides. XPS spectra indicated that the Cd(II) was adsorbed onto biogenic precipitation. This research work was partly supported by the National Natural Science Foundation of China (NSFC) (No. 51678471), the National Key Research and Development Program of China (2016YFC0400706), and Key Scientific Technological Innovation Team Plan of Shaanxi Province (No. 2017KCT-19-02).